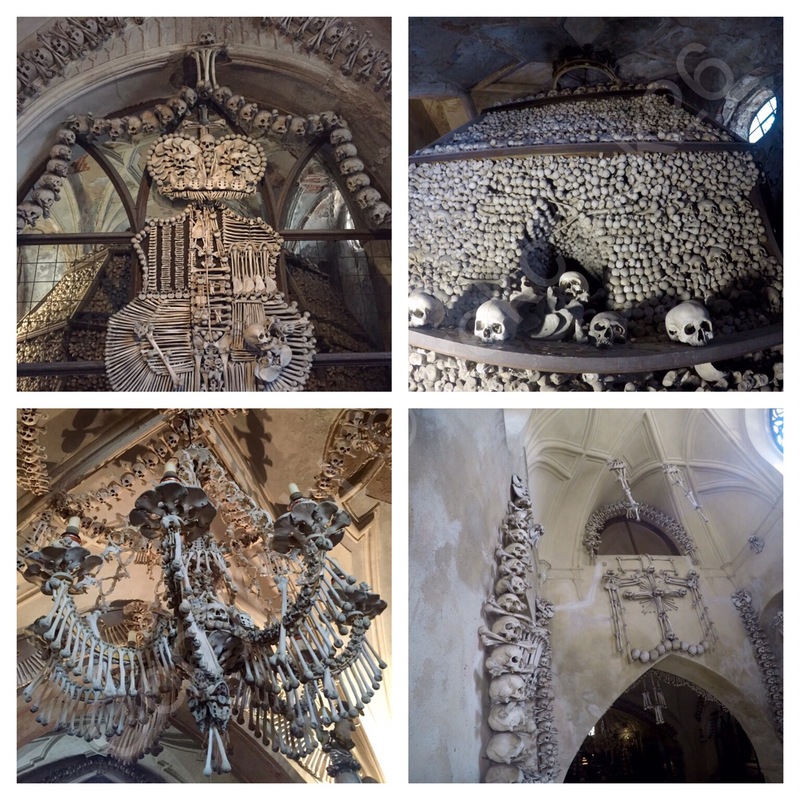 One of the highlight’s during my four day visit to Prague and country number 35, the Czech Republic, was my day trip with Discover Prague Tours to the medievil and Unesco World Heritage listed town of Kutna Hora and Sedlec Ossuary, better know as the Bone Church. Our modest group of 15 met up with our tour guide for the day, David from Colorado, and after brief introductions, we made our way to Prague’s main train station, Praha hlavni nadrazi for a scenic and comfortable 50 minute trip to Kutna Hora. Arriving at the main attraction of All Saints Chapel and Sedlec Ossuary, I was totally blown away by the sight on entering the ossuary. The bones of at least 40,000 people are contained here, most of whom died from the plague. It is a display that is a reminder of both life and death, and of people who once had hopes, dreams fears and aspirations. The bones were originally organised by a half blind Cistercian monk in 1511, but the current artistic display was arranged by a Czech wood-carver, František RINT, dating back to 1870. This includes a human bone chandelier which contains all 206 bones of the human body, and the Schwarzenberg coat-of arms. ”	Sometimes I can hear my bones straining under the weight of all the lives I’m not living” (Jonathan Safran Foer). Granted, as amazing the sight was to see, I did eventually feel a bit weirded out and was happy to return back outside to the “living world”. Our day continued seeing some of the main sights in Kutna Hora including the impressive Church of St Barbara , and the Italian Court, former home to the Royal Bohemian Mint. I would highly recommend a day trip to Kutna Hora, with Discover Prague Tours. David was an excellent and entertaining guide, and I suggest you opt for the lunch option. The hot lunch was cheap, delicious and of large proportions. 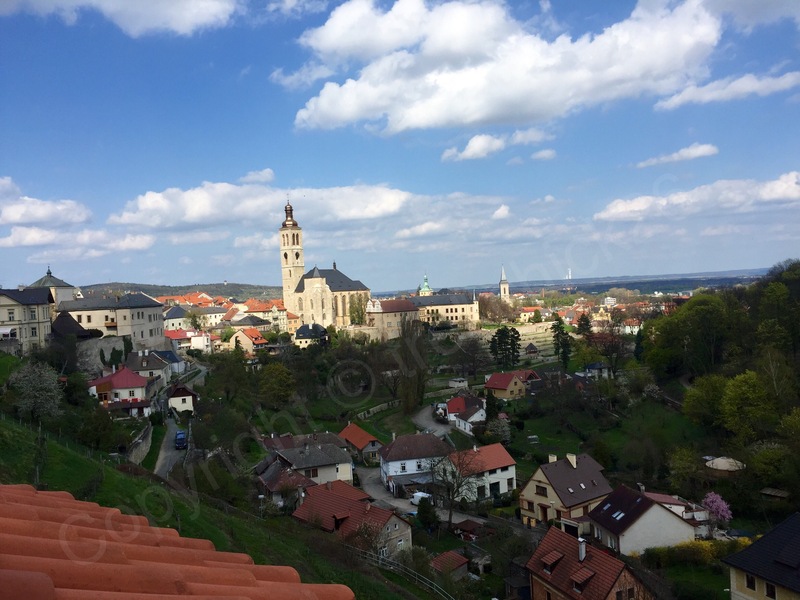 This day trip was the highlight during my visit to Prague and the Czech Republic It was nice to see the rural parts of the country, and Kutna Hora is a beautiful town. Sedlec Ossuary is quite a mind blowing sight to see!